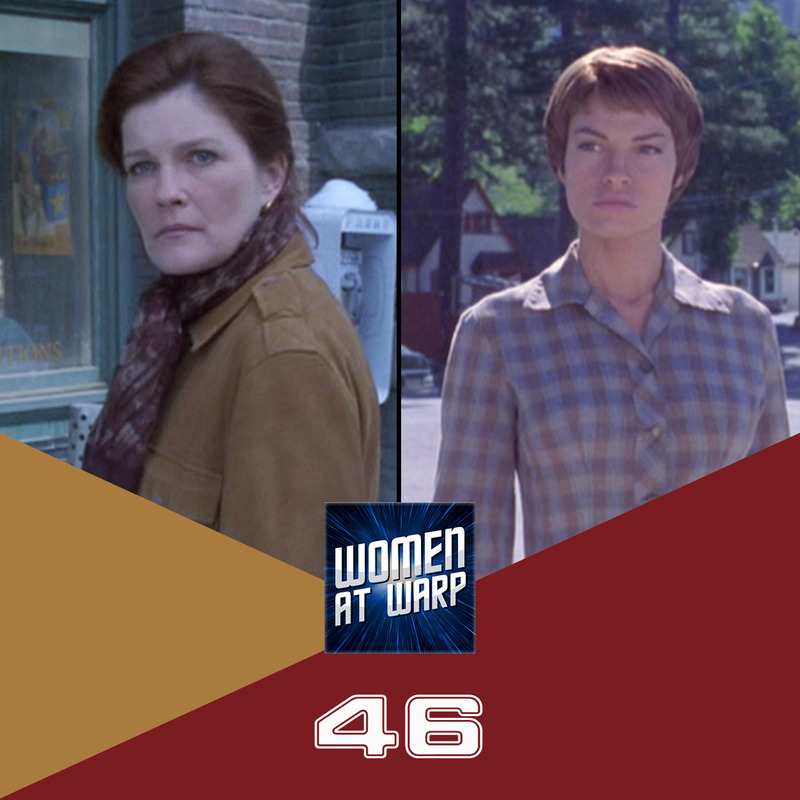 Janeway and T’Pol each get to tell the stories of their foremothers, in Voyager’s “11:59” and Enterprise’s “Carbon Creek.” We compare these episodes and discuss the themes of family history, role modelling, and the meaning of progress. Both of these were all-time favorites!!! I look forward to this show!!! Very good episodes, unless you measure Trek strictly by action. Yay!! We’re so happy you like the theme song!! One of the things that made “Carbon Creek” one of my favorite ST episodes ever (of all of the series) was that in addition to the humor and the usual “stranger in a strange land” way of making us look at our own society with new eyes, the aspect of American 1950s society which most “enraged” (if she had had emotions) T’Mir and galvanized her into action is when the son of their landlady, who has a good mind and an interest in science, tells her that he won’t be going to college because he doesn’t have enough money. T’Mir is astounded and bewildered: what kind of barbaric society would refuse college to its best young minds? If there’d been a Prime Directive, she would’ve made the Kirk-ian move and broken it by interfering with indigenous technology, because that’s exactly what she did with the velcro. So it was not just the Vulcan who stayed on Earth who had begun to appreciate humanity in general and certain humans in particular; T’Mir was similarly charmed. The episode also shows us how something that seems incredibly unlikely could happen: how could a Vulcan like Sarek ever choose to marry a human? It turns out that he wasn’t the only one who was attracted to humans.